It starts with a tingling or burning sensation, and the next thing you know you have a cold sore. Also called fever blisters, these sores are caused by the herpes simplex virus (HSV-1). Most people get infected by the virus in childhood and it lies dormant until your immune system is low, especially when you are stressed or overly tired. 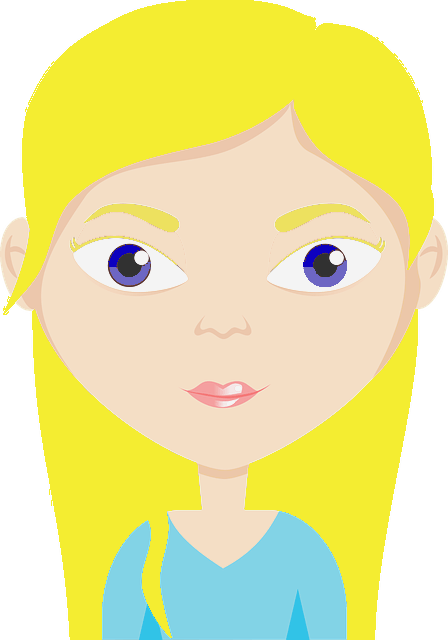 Hormonal changes can also trigger them. Yes, the herpes virus also causes genital herpes, but it’s a different type of herpes virus, the HSV-2 strain. Unfortunately, either herpes virus can give you either cold sores or genital herpes. The virus is spread by physical contact, sharing cutlery, cups, lip balms, etc, and most cold sores will develop in or around the mouth but you may also get them on other parts of your body such as your hands. Symptoms include the tell-tale tingling or burning before the cold sore forms, then the blister or blisters that form. The blisters then burst and will ooze and crust over before the sore eventually dries out and fades. They are most contagious when they are oozing. It can take up to four weeks for them to go away and they usually don’t scar. In some people, the first time they get a cold sore they may also get a fever, headaches, a sore throat, muscle aches, painful gums, and/or swollen lymph nodes (1). Unfortunately, the virus can’t be cured, and you may continue to get cold sores. Fortunately, after the first cold sore, you are unlikely to get any of the flu-like symptoms. Although there are ointments that you can put on them, you can treat them without ever taking a trip to the drug store or risking side effects. Apple Cider Vinegar (also known as ACV) for cold sores is a remedy that has been used for many years. 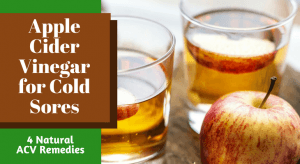 There are no medical studies to answer the question “does apple cider vinegar help for cold sores?”, but there are many people who have found it to be a good remedy. Many natural remedies are yet to be tested, and one day, they will be tested, but just because there are no clinical trials backing up the claims, doesn’t mean that in each case the remedy doesn’t work. Apple cider vinegar is antimicrobial, while it hasn’t been tested on the herpes simplex virus, it may help by getting rid of these germs that cause cold sores. Drinking apple cider vinegar has an alkalizing effect on the body which can improve your immune system and keep harmful germs at bay. Apple cider vinegar helps to regulate your skin’s pH levels which makes it less hospitable for the virus. Apple cider vinegar can ease the pain and itchiness despite the fact that it may sting initially. Apple cider vinegar helps to dry the cold sore out quicker. Using apple cider vinegar on a fever blister is really simple. As with any remedy, our bodies are all different, and what works for you might not work for someone else. If you find that the apple cider vinegar isn’t quite working, you can increase how effective it is by combining it other beneficial ingredients. Use these remedies twice to three times a day. Dilute the apple cider vinegar 1:1 with water. Dip a cotton ball or swab in the mixture and hold it against your cold sore for a few minutes. It may sting for the first few seconds, but that will go away. You can then rinse it off if you prefer. You can also keep the apple cider vinegar on the cold sore overnight. You can use a band-aid or tape the cotton ball in place. You can also essential oils in the ratio of 2-5 drops of essential oil per tablespoon of the apple cider vinegar and water mixture and apply that. Honey also has antimicrobial properties and can be mixed with apple cider vinegar in a 1:1 ratio and applied as you would the first two remedies (4). Dilute 1 tablespoon of apple cider vinegar in water and drink that 2-3 times a day. If you don’t like the taste you can add a spoon of honey. You can also use apple cider vinegar on your salad, in soup, marinades, and even in tea or smoothies. You can use filtered apple cider vinegar for these remedies, but raw unfiltered apple cider vinegar contains “the mother” which is beneficial for your gut health which affects your overall health. Many people out there will advise you to just put plain apple cider vinegar on your cold sore, but apple cider vinegar is very acidic and can burn your skin and throat if applied or consumed undiluted. Apple cider vinegar tablets have also caused burns in people. After eating or drinking apple cider vinegar, rinse your mouth with water to help prevent tooth erosion due to the acidity. You should also wait at least a half an hour before brushing your teeth after consuming apple cider vinegar. If you find that your skin is irritated or the stinging is very intense when applying the apple cider vinegar, you can dilute it a little more and try again. Don’t pick at your cold sores and keep your hands clean. If you touch your cold sore and then touch elsewhere you can cause more cold sores to develop. Use a new toothbrush when your sore goes away to prevent being infected again. Eat a healthy diet full of a variety of fruits and vegetables to keep your immune system strong. If you have a cold sore or feel one coming on, it may be beneficial to limit or avoid nuts, seeds, coconut, carob, chocolate, gelatin, watercress, spinach, and whole grains as it’s thought that foods high in the amino acid, arginine, can cause cold sores (5). Try to keep your stress under control by making time to relax, do things that you enjoy, for example, watch a funny show, take a bubble bath, take a walk. Meditation and/or deep breathing can also do wonders for your stress levels. Please let us know if you found apple cider vinegar helpful. If apple cider vinegar isn’t your thing, we know it doesn’t smell good and can be an acquired taste, try one of these remedies for cold sores.